Google can’t seem to catch a break in Europe. 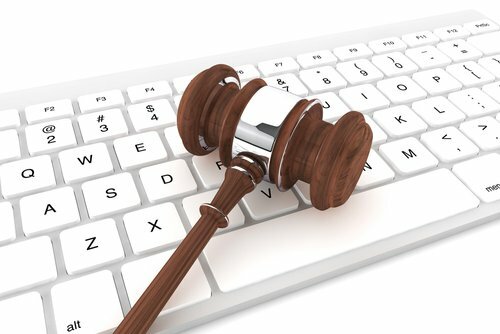 Following the ruling against Google on what is often called the “right to be forgotten”, and the recent news that regulators will push for a harsher settlement in antitrust legislation, Google has been recently given another hit from Spanish courts. The newest ruling involves Google News and Spanish newspapers. In essence, the law creates an inescapable tax on Google News to subsidize Spanish newspapers. The ruling on the Spanish courts could have huge ripple effects for Google and other American tech firms in Europe. However, the potential effect for marketers in Europe and America is profound. This law may lead to a dramatic loss of traffic for European websites. At the end of July, the Spanish government passed a law that would force Google to pay when they linked to a Spanish newspaper on Google news. Additionally, the law preempts Google from removing the sites of Spanish newspapers from Google News. In essence, it means that if there’s going to be a Google News in Spain, Google has to pay Spanish newspapers. The law is equally concerning to other American tech firms like Reddit, Facebook, Twitter, and LinkedIn, all of which use similar aggregators, snippets, and links for their trending content services. Though the Spanish government was quick to point out that the law wouldn’t apply to social media, despite the fact the law gives Spanish publishers the right to seek payment from any site that provides a meaningful description of their work. The law may seem heavy handed, but the Spanish government is trying to prevent Google from using a tactic the company used in Germany when faced with a similar law. When a German law required Google to pay German papers if their snippets were used in Google News, Google responded by removing all German papers from the Google News in Germany. The German papers, displeased with their sudden drop in online readership, signed agreements that would allow their sites to be listed in Google News if they relinquished the rights to such payments. The Spanish ruling seeks to prevent Google from doing the same by requiring Google News to show snippets from local Spanish papers, as well as requiring Google to pay for this snippets. Due to the massive amount of government compulsion involved in these payments to Spanish papers, many commentators have referred to this situation as a “Google Tax” by Spain. At the very least, it’s fair to suggest that Google is being forced to subsidize Spanish newspapers. The situation in Germany shows the absurdity of these taxes in economic terms. Local newspaper genuinely benefit from having their articles shown on Google News. The increased exposure brings them a lot of traffic which they can use to sell ad space on their own or through display ad networks. The fact that German papers would agree to relinquish payment to get back on Google News shows that the newspapers made the same calculation. Additionally, the situation in Germany showed that Google can easily go to non-local sources to aggregate news for a country. It’s not as if only papers in Germany write about the country. Google could easily pull from the BBC, Le Monde, and hundreds of other international papers to fill out the Germany section, and these other papers were happy for the extra traffic. It’s understandable that governments in Spain and Germany want to help struggling newspapers, but attacking a service that benefits these papers, and hasn’t charged for it (which Google easily could have done and the editors of news giants would chomping at the bit for the chance pay for top billing), is counter-productive. There’s a chance that Google may yet prove this point to the Spanish government. The Spanish ruling seems only to apply to aggregators like Google News and not to Google Search. Google may decide to shut down the Google News service in Spain entirely. When faced with the very real prospect that other nations in Europe may try the same thing, Google may decide to take a stand now. If not, they may find themselves giving money to every paper in Europe. While this may just seem like an interesting story about the ongoing struggles between Europe and Google, the implications for internet marketers are considerable. For American marketers and tech companies trying to branch into the Europe, the situation should be concerning, because it means web-based service could become the target of taxation and regulation if it becomes too popular or threatens and old industry. This is something app-based rideshare services like Uber and Lyft are already facing. For European marketers, the issue is more concrete. There’s a real possibility that in light of laws like these, Google may stop running Google News services in Europe, or that Facebook and Twitter may stop using European content in trending sections. This would do a lot of damage to European marketers, who would find themselves having to do a lot of paid internet marketing to makeup for free referral traffic they would lose from services like Reddit, Google, Facebook, and Twitter.